Given how desperately developers have looked for something new to frame their endless collection of endless-runners around, it's surprising really that it's taken someone so long to build a game around the classic story of the tortoise and the hare. It's an obvious choice, a natural setting, and we finally have such a runner in the form of Run Sheldon! This never-ending take on the story sees the hero tortoise Sheldon running away from the many hares in the game, all of whom are hell-bent on retrieving his race-winning trophy. They pop up everywhere and, with Ravin' Rabbids humor, they appear in a number of different forms as Sheldon runs from left to right. Some hide underground to give him a nasty surprise as they pop up, others hang in the air from leafy parachutes, while more besides stack themselves up to offer a hefty height challenge. Others still leap around the screen, playing tricks on your concentration as you leap and bounce your own way around the landscape with screen taps. 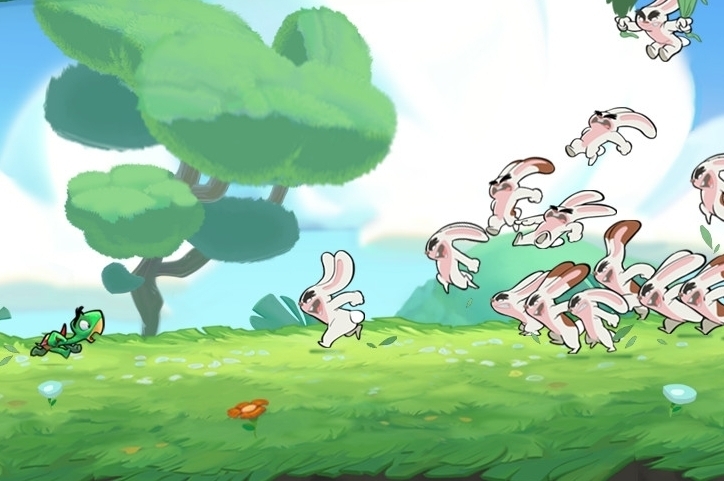 Your main task is to avoid the rabbits, or simply obliterate them by bouncing off their heads - something which handily gives Sheldon a jump boost so that he can get hold of hard-to-reach coins that are necessary for upgrades. Bopping off those bunny heads doesn't just remove the danger from the screen either. Each one you take out also tops up a little of your shell meter - once that's full, it will protect you from one poorly-timed jump. Leave him exposed without a shell when the next hit comes your way and it's game over though - unless of course you stump up some of the cash you've collected to extend your run. And you're going to need those coins too. 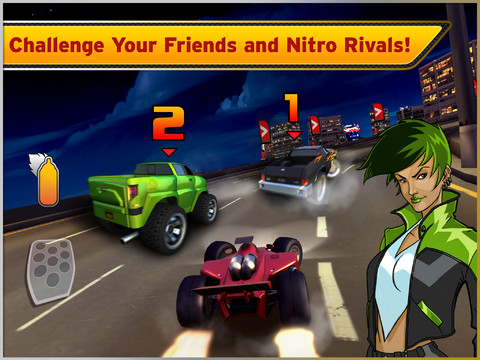 As you'd expect from any endless-runner, you can spend real or virtual money upgrading your power-ups. 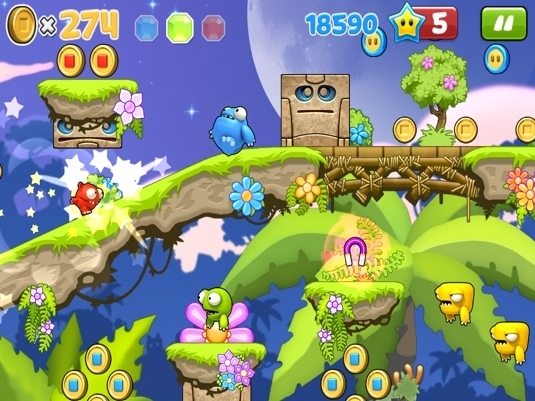 The rocket pick-up that temporarily boosts you through a level can be extended, as can the magical wings which allow you to fly via taps over the landscape. More familiar are the coin magnets and head-start boosts which have come to define the genre. For the most part, Run Sheldon is a refreshingly enjoyable take on the genre, and features some gorgeous painted landscapes which transition from bright gardens to gloomy forests as you head deeper into each run. We did have a few niggles with the game though. Those upgrades are quite expensive, and there's a floaty feel to Sheldon's controls which - combined with his diminutive size relative to the rest of the characters - can lead to mistimed jumps that seem unfair. Likewise, we would swear on occasion that we'd bopped cleanly off a bunny's head, only to lose our shell. While Run Sheldon may not be perfect in its implementation, nor offer anything truly revolutionary to the genre - in the same way that, say, Polara did - it is fresh enough to deserve the attention of genre fans looking for something that at least tries to break away from the established order of things. 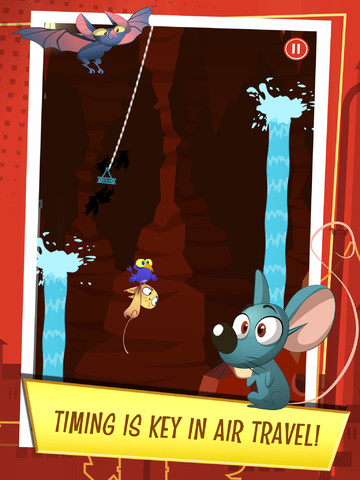 What's Hot:A very solid runner that combines platforming and coin collection in a refreshingly original package. What's Not:The controls feel a little imprecise and we had very occasional collision detection issues.